This Swedish Crossfit company weaves the badass spirit, camaraderie and passion of Crossfit into the style and ethos of their clothing. 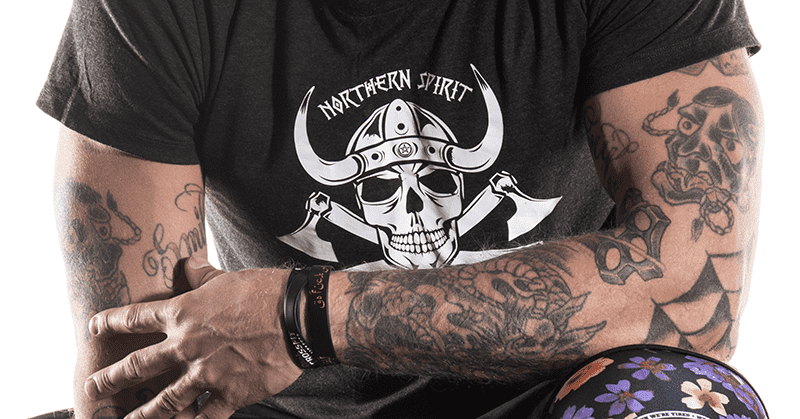 Northern Spirit is on a mission to provide outstanding products and is one of the few clothing brands in Europe focusing solely on the Crossfit community. They were founded in 2013, in Helsingborg, Sweden, as an attempt to create a brand that reflects the lifestyles of Crossfitters all around the world. Seeing those Danish and Icelandic badasses working out in a former slaughterhouse, outside on the concrete, or in the dark of a random Copenhagen parking lot encapsulated, for us, the core of the CF lifestyle. Ever since then we try to produce clothes that both are high in quality and hard as a danish slaughterhouse in style…. Northern Spirit works a lot through ambassadors and are constantly looking for new collaborations. If you like Northern Spirit and want to bring more positive energy into their journey, feel free to contact them via Facebook, Instagram (@northernspiritcf) or by e-mail at info@shopnorthernspirit.com. Northern Spirit – Hi Anna! How are you? NS – What are you up to now? AHO – I am actually about to board a plane on a very long flight from Africa on my way home to Iceland, where I was honored with the IPMA young researcher award 2015 for my PhD research which I plan to defend in January. NS – You are one of the most well known NS ambassadors on the international CF Scene. Tell us how it is to be an ambassador for NS? AHO – I am honored to be an ambassador for NS. It’s not just that I love their products, and I most certainly do, but the people behind the label are just so awesome. To give you an example of how amazing these guys are is that they donated endless worktime and products to my team, Team Crossfit Reykjavík, prior to the Crossfit Games 2015, for us to sell. They designed the product for us, produced it, shipped it and helped us advertise it, only to give us the profit. The products turned out to be a huge success in Iceland and the slogan #BEMOREVIKING has been highly successful. For me, this support made it possible for us to go to the Games, as you can imagine a trip from Iceland to LA with all that it includes isn’t cheap. For that I am forever thankful. NS – What does the future hold for you? AHO – The future you say. Well I plan on hosting a GirlCamp with NS in Sweden for the second time, which will happen sometime this spring. I also plan on competing in the Best on the West (CF competition in Helsingborg, Sweden) in January with my partner in crime Jakobína Jónsdóttir, who is also a NS ambassador, so we will do our best to represent NS the best we can. This will be the first competition for me in some time since I injured a ligament in my hand and therefore have not been able to do any heavy lifting for a long time. I hurt it shortly after the Games this year, and excluding this one time in October where I reinjured it?, I have not been blessed with any real heavy barbell lifting since then. After that, I plan on getting myself in better shape again, hopefully with a healthy ligament and a little more time to invest in my training. Can’t wait to get on track again with Northern Spirit by my side!